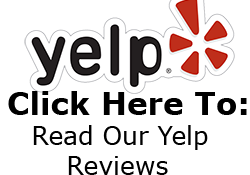 Home » Testimonial » Ellen G.
I was looking for a new optometrist in Granada Hills. I looked into several options. I don’t think I can really express what a great experience I had with Right Vision. I am a diabetic so finding the right eye doctor was extremely important to me. The Doctor was warm, friendly, and extremely professional. I felt like I was well cared for and not just another patient in a long line. The doctor made me feel like there was nothing more important at the moment then I was. All that being said we all know it’s the front office staff that we spend most of our time with. Lucy is amazing! Fun, friendly, and professional!!! She helped me understand my insurance coverage options and guided me to the best solutions for me. She never tried to up sell me. That alone is a reason to choose this great company. They are my eye solution for life.